EQUIPMENT THAT WE USE: Here I will describe some of the basic and more advanced equipment that Agawam Paranormal brings to and uses on our investigations. COMPASS: A simple everyday compass also works as an EMF meter. Since a compass is based upon magnetism, it is also disrupted by an Electro-Magnetic Field or EMF. While a compass does not give you the actual strength of the EMF reading, it will fluctuate the needle. For this reason, I recomend a liquid filled compass as it helps keep the needle much more stable. Agawam Paranormal always has two of these in our equipment cases. DIGITAL BATTERY TESTER: This device is a simple tester for all sizes of batteries. Sometimes, during a power drain, after removing the battery from it’s device and the site, the battery actually regains it’s power charge. The tester shows the power levels within each battery. DIGITAL INFRARED CAMERA: A device used to capture images invisible to the human eye at the “hot” end of the light spectrum. It is capable of feeding information to a computer, where its infrared images may be stored on a hard drive. DIGITAL THERMOMETER: A device used to record the presence of cold spots and hot spots, sometimes during an apparent paranormal event. Some digital thermometers record temperatures second-by-second for PC storage and graphic charting. DIGITAL VOICE RECORDER: A device similar to an old style “tape recorder” which records in an electronic format without the need for a recording tape. These files can be transferred to a computer for analysis and editing. Some recorders start around $25.00 and can easily exceed $200.00. ELECTRO-MAGNETIC FIELD DETECTOR: A device used to detect electro-magnetic fields (EMFs). Its use is somewhat controversial among ghost hunters in that EMF’s from power lines, television sets, kitchen appliances, etc. surround us constantly, as well as the fact that it has yet to be categorically proven that ghosts emit EM energy. On the other hand, some researchers say that ghosts disrupt EMF’s. 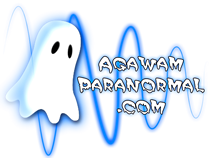 Agawam Paranormal uses several different types of EMF detectors in the field, ranging from a K-2 to a “Mel” meter (with a few others in between). While we are using these tools, we are very careful to eliminate natural and man-made sources from the list of possible causes. When in doubt, we bring in our Master Electrician to see what he can find. EQUIPMENT CASES: While a simple tote is perfect for the extension cords and tri-pods, protect your investment, in the hand equipment, with a padded hard case. The best ones are customizable with form inserts. Most of the equipment that we use can be pretty expensive and it needs to be protected. Not to mention that it becomes a lot easier to transport to the site and then to make sure that when you leave, you have all of your equipment with you. The cases are a necessary and worthy investment. FIRST AID KIT: This is another common sense item that is a must for all investigations. Keep it well stocked, just in case you may need it. FLASHLIGHTS: A simple flashlight is a necessity for any investigation, I suggest the new LED style of light as they are very bright and you can apply a filter if desired. Filters change the color of the light so as not to interfere with night vision and such. GEOPHONE: A Geophone is a device that detects and measures vibrations. They can be placed in an area where a client reports footsteps or knocking. When a vibration is sensed, the lighted display will activate an give a graphic representation. The stronger the vibration, the more lights that will come on. The ones that we use were made by Jeremy and are adjustable in intensity and sensitivity. IR ILLUMINATORS: These are additional light sources for our Static Cameras. They produce an infra-red lighting that is invisible to the naked eye but, while watching the monitor in Command Center, makes a pitch dark room look like it’s daytime (just green). These allow us to capture a significantly higher quality video with our high definition cameras. LASER GRIDS: A laser grid is a pencil sized unit that projects a laser beam that is deflected into multiple points of light forming a grid on a wall or other object. These come in different colors and can be battery operated (very common) or with an A/C power source that is simply plugged into any wall electrical outlet (more expensive). The theory here is that anything passing between the laser and the grid will cause a visible disruption in the grid. These are usually used with a camera set-up. MOTION SENSOR: A device that is used to detect movement in an area that is not currently being directly investigated. This equipment is always placed in such a fashion as to allow a static camera to observe it as the reaction to movement is a light and not audible. SPIRIT BOX: A spirit box is a modified digital radio and continually scans the AM and FM frequencies without actually stopping at any active band. This is very similar to a car radio when you hit either the seek or scan functions except that the spirit box continues to cycle through the entire frequency set. When used as a part of an EVP session, you would usually attach a separate speaker to the box for better clarity and record the session with your recorder for later review. This is really a technological version of an AVP as you hear the answers to your questions in real time. The theory with this device is that the spirits can manipulate the radio signal to communicate. Recording the session allows you to go back and re-examine the evidence. The scanning that the box does can be quickened or slowed for different results. For me, the jury is still out on this piece of equipment as we have captured results on occasion while other times nothing. STATIC CAMERAS AND DVR SYSTEM: Static cameras are simply (night vision or thermal) cameras that are mounted on tripods and are monotered in Command Center on a computer screen. They can also be recorded onto a DVR system for later review. Agawam Paranormal currently uses an eight camera (channel) night vision system. THERMAL-IMAGING DIGITAL CAMERA: A device that records images of long-wavelength infrared radiation (i.e., heat) that are invisible to the human eye. The thermal-imaging camera facilitates the capture of images in darkness, smoke, or fog. THERMAL SENSOR: A device that senses changes in the area based upon heat. A slave unit is placed in the field, while the receiving unit is located in Command Center. This device works best when combined with a camera to discount false positive readings from an investigator walking in front of the sensor. TRIGGER ITEM: An object that would be of interest to a suspected spirit or ghost haunting a location. This item would be placed in front of a camera for best results. The item would differ from investigation to investigation depending on the suspected age / interests of the entity. An example would be a Superman figure where a child spirit is believed to be the cause of the haunt. WALKIE TALKIES: These are multi-channel radios that we use to remain in contact with each team as well as Command Center. WATCH: A simple watch in order to accurately notate the time when an activity happens during an investigation. A digital watch with a backlit screen is the one of choice for most.